Customizable DrumKit Visualizer – 808 DrumKit for Adobe After Effects. 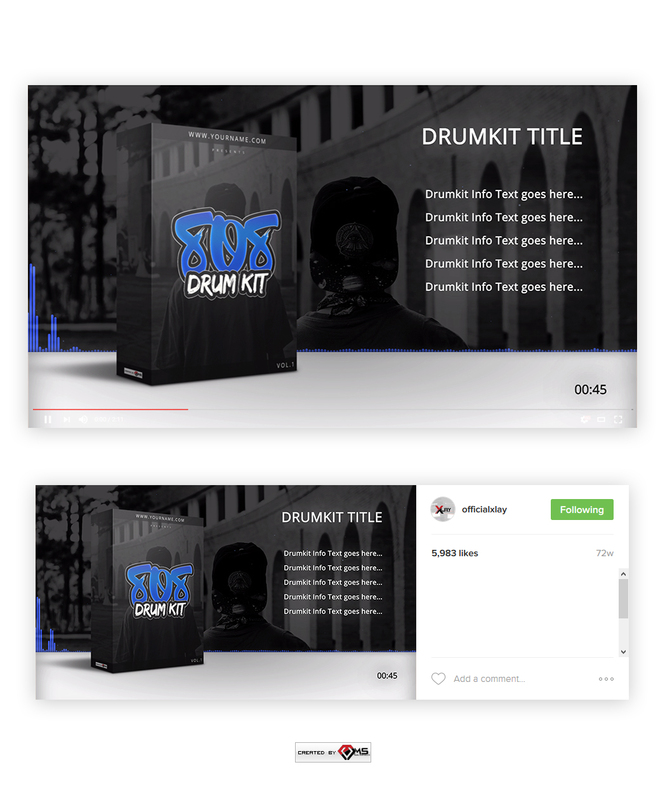 To create DrumKit Promotion Videos for YouTube, Vimeo, Instagram or other Video services. This Visualizer Template includes placeholders for your Drumkit Image, Textbased Title and Info Text, a Timer and Background Picture. The Waveform is synchronized to your Audio file. The Template comes as editable high Quality Full HD (1920 x 1080) After Effects Project (.aep) file. Instructions file included (separated download PDF). Matching premade Drumkit Box Design can be purchased here.